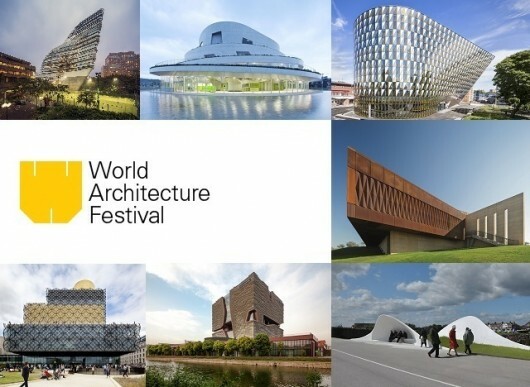 With only one month to go before the 2014 World Architecture Festival (WAF) begins in Singapore, WAF has unveiled new additions to the Festival Program, including a keynote speech by Ole Scheeren of Buro Ole Scheeren. With “Architects and the City” as WAF’s overarching theme this year, Scheeren’s talk will be on the relationship between architects, architecture and urbanism. Other keynote speakers include Rocco Yim of Rocco Design Associates who will speak on his involvement in the West Kowloon Cultural District, the largest arts and cultural project in Hong Kong to date, and Richard Rogers who will speak candidly about his life as one of the most influential global figures in architecture and his future agenda. Moshe Safdie will close the Festival, looking back over his extensive career to talk exclusively about the defining moments that shaped its path. Read on after the break for more information on WAF’s three days of fascinating talks, networking opportunities and its annual awards. Yasmeen Lari has built over 40,000 low-cost shelters using just mud, lime and bamboo. “You don’t need wood, cement and steel to build strong homes,” she says. Lari was the first woman to qualify as an architect in Pakistan and now directs local humanitarian NGO the Heritage Foundation. Her team of architects and engineers started experimenting with new materials in disaster relief after the great flood of 2010 submerged a fifth of Pakistan, left 2,000 people dead and hundreds of thousands of people homeless. Their shelters in Sindh Province, says Lari, have since withstood year after year of flooding. Established by Lari in 1980, the Heritage Foundation’s original mandate was conservation of cultural sites. But it turned to post-disaster reconstruction after a 7.8 magnitude earthquake devastated Pakistan-administered Kashmir and the adjoining North West Frontier Province in 2005. Lari has designed some of Karachi’s biggest buildings – her signature glass and granite edifices have a distinctive mark, though she says she wouldn’t build much of it again. After more than 30 years as a commercial architect Lari gave it up in 2000 to devote her time to writing. “I am no longer tied to what the client wants; it has freed me,” she says. “Mud is recyclable and it’s everywhere; bamboo is very strong and environmentally sustainable and you can get a new bamboo crop every two years,” says Yasmeen Lari, head of Heritage Foundation Pakistan. Her new clients are the poor and disenfranchised. “I have always maintained that they need to be given the same degree of importance as is given to corporate clients,” she says. Her aim is to teach villagers how to “make their buildings long-lasting”. With increasingly erratic weather patterns the world is growing more vulnerable to extreme weather events and Pakistan is one of the world’s most vulnerable countries. Paradoxically, those coming forward to provide humanitarian aid after extreme events promote construction with steel and cement thereby increasing carbon emissions and contributing to the climate change that triggers these events. Projects in Place is ramping up for another build at the Grandview Housing Co-op Playground. It’s been a project that they’ve been working on for almost 2 years – going through the design process, the co-op sourcing funding, demo (only to find that everything was built on fill) and finally they’re ready to have a community build. Other than the official build days, there’s also help needed to prep; sanding, cutting of lumber etc. They would love to welcome your participation at the event. Location: 1455 Napier Street. Vancouver Our sign up is on our website.